proem headlines the CDM party Monday night, with myself and Lila’s Medicine, backed by Jay Smith and friends’ best visualists in Texas (brought to you by Livid Instruments). Photo (from the Decibel Festival, not in Austin): pinkpucca. Texas, here we come. Before the armies of bands hit Austin for South by Southwest, we’ve got some events going during SxSW Interactive — the “spring break for Web geeks” festival of online tech. 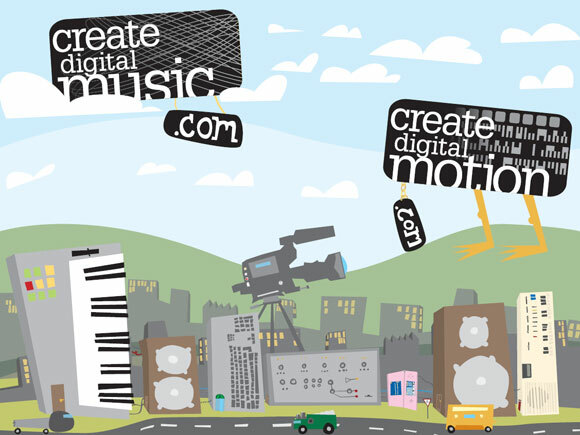 Live CDM music and motion party Monday 3/10: Bring your musical, visual toys, custom code, and DIY projects and hang out with other CDMers at 8pm, then stick around for live performances from musicians and visualists. Details below; let us know you’re coming at upcoming.org, Facebook, SXSWHERE party guide. Free, no badge required. We built this city … CDM metropolis as conceived by Nat aka onetonnemusic. 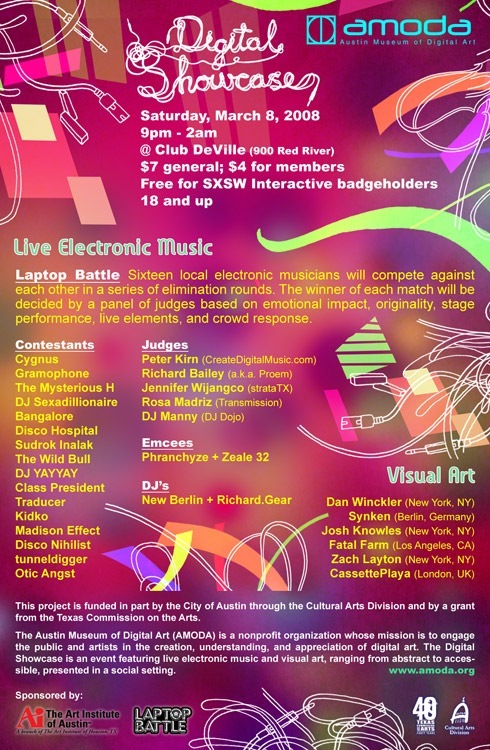 More on the CDM party — good chance to chill before SxSW Music unloads on you! 8:00 PM — Open mixer / project share: bring your custom code, custom patches, favorite music and motion toys, and DIY hardware — finished or not — and hang out with CDM readers, Austin’s digital scene, and SxSWers.